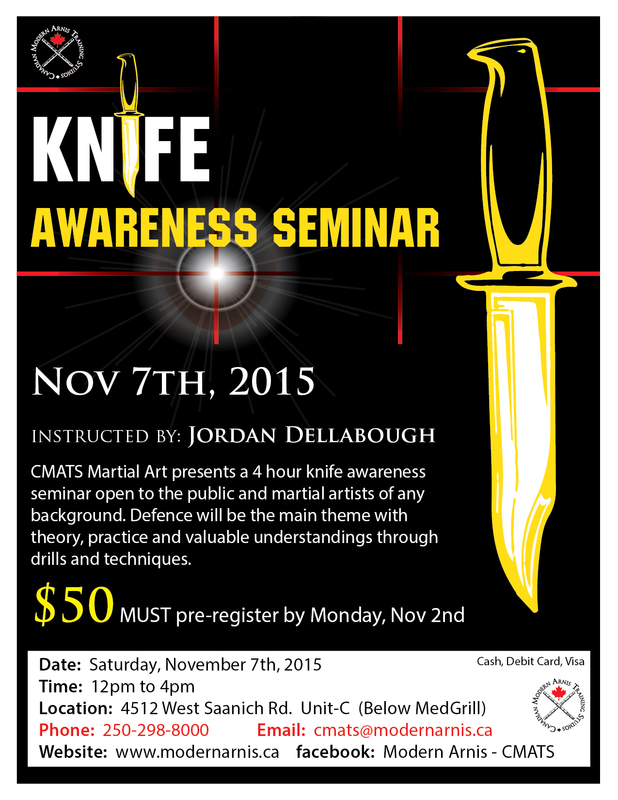 Modern Arnis / Filipino Martial Art Weapon & Arms self-defense seminar taught by Jordan Dellabough of CMATS. 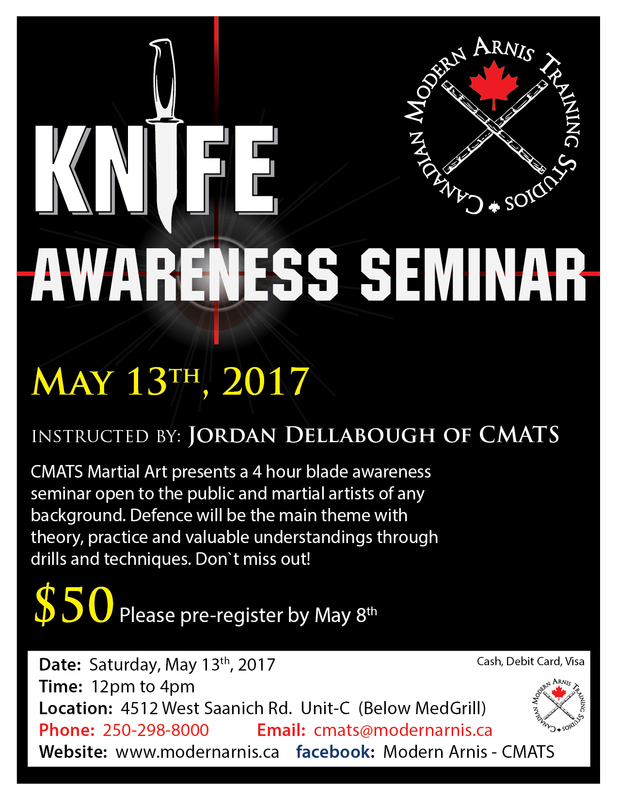 Covers single stick, double stick, knife management, empty hand techniques, ground fighting, tapi-tapi and other topics. If you are interested in hosting a seminar please contact us. 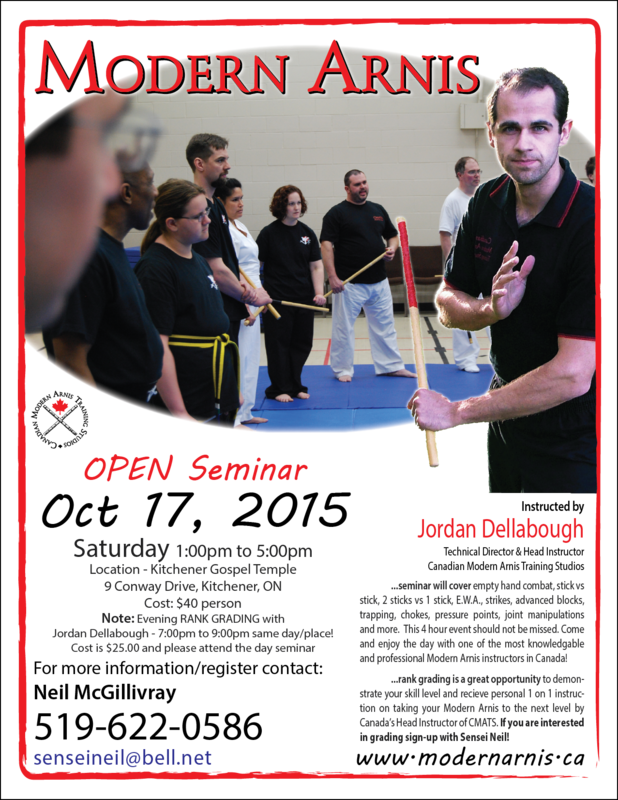 1 or 2 day Modern Arnis / Filipino Martial Art Weapon & Arms self-defense camp taught by Jordan Dellabough of CMATS. They cover single stick, double stick, empty hand techniques, ju-jitsu, knife disarms, and weapon and empty hand kata. Basic and Advanced Instructor Certification as well as Rank Testing are available. Jan 22-23, 2011 Detroit, MI USA Grandmaster Jeff Delaney & Lisa McManus will teach a 2 day Seminar on Modern Arnis tapi-tapi, entering, takedown and submission skills. 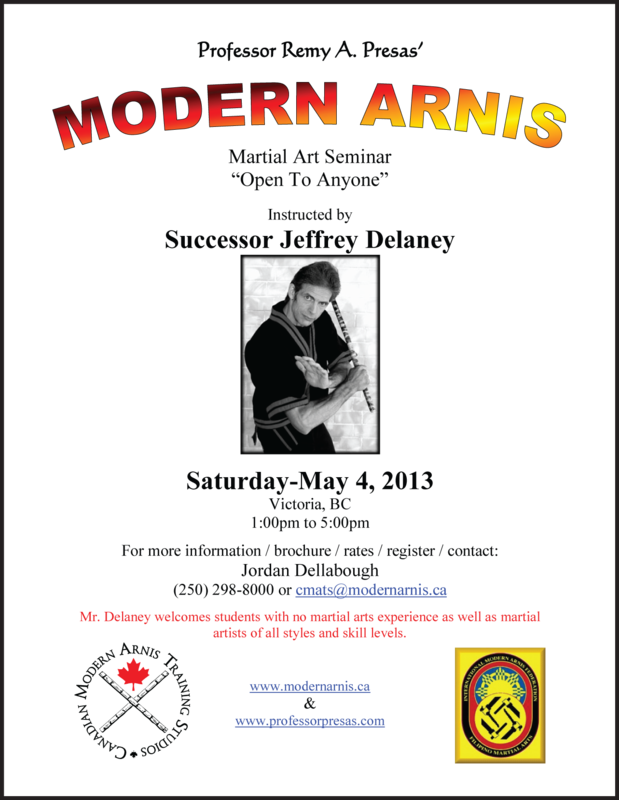 For more information visit: I.M.A.F., Inc.
Jan 22-23-24, 2010 Detroit, MI USA Grandmaster Jeff Delaney & Lisa McManus will teach a 3 day Seminar on Modern Arnis tapi-tapi, entering, takedown and submission skills. For more information visit: I.M.A.F., Inc.
Jul 23-24-25, 2010 Newport, NH USA Grandmaster Jeff Delaney & Lisa McManus will teach a 3 day intensive training camp. Instructor certification available. This Summer Camp will be one you won't want to miss and is being held at the Newport High School with accommodations at the Sunapee Best Western Hotel. Baiting, trapping and takedowns to submission will be taught. For more information visit: I.M.A.F., Inc.